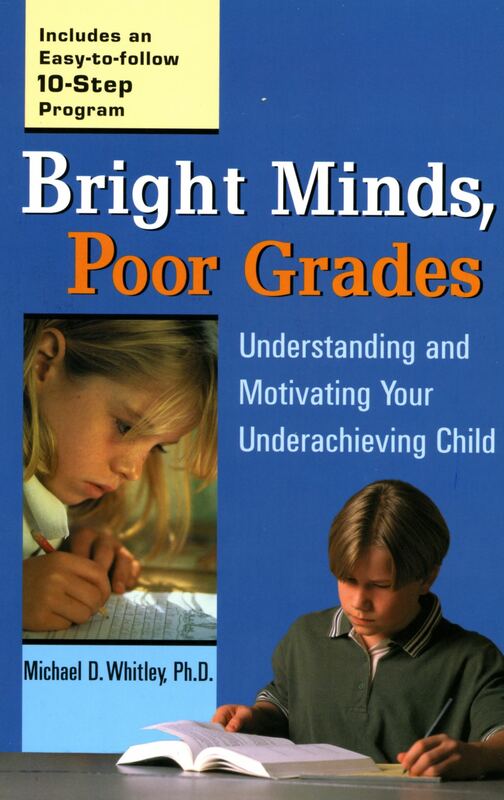 If your child is so smart… why isn’t he doing better? You’ve heard it all. You’ve tried it all. From punishment and praise to tutoring and even blame. You know that deep down your child is good-hearted and intelligent, so why is he still not working up to his potential in school? Renowned psychologist Dr. Michael D. Whitley says that most children know they should succeed in school and they may even know how to study, but they are lacking the basic motivational skills that make a successful life possible. Whitley’s unique no-nonsense, no-excuses approach motivates kids to take responsibility for their actions and inspires them to want to do better. Michael D. Whitley, Ph.D., is a clinical psychologist in Houston, Texas. His clinic specializes in motivational difficulties and behavior problems of children, adolescents, and adults.